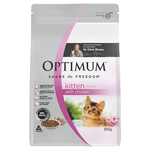 Optimum food delivers balanced nutrition for pets at every lifestage, from growing young kittens to senior cats. 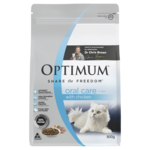 Endorsed by Dr Chris Brown, also known as ‘Bondi Vet’, Optimum is a well-established brand of cat food in Australia. 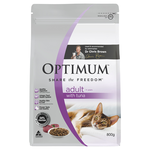 Optimum has delicious diets for cats at every lifestage - from kitten to adult to mature cats. 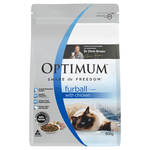 Optimum even provides diet options for cats with furballs or in need of dental health care. Oral Care dry food can help clean your cat’s teeth as the abrasive action of the dry kibble scrapes off plaque and tartar. 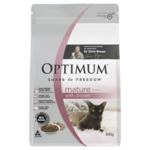 Optimum is made in Australia, primarily between New South Wales and Victoria. Their factories meet the highest Australian sanitation and quality assurance standards.